There are some things that, although they are widely available in hotels, I prefer to take with me. One of these is a hair dryer. Hair dryers found in most hotels lack power and take far too long to dry hair. They are also not always available. Using one of the best travel hair dryers is a really quick way to feel fresh and tidy when traveling. On one of our recent trips I bought the best travel hair dryer for Europe that I could find which turned out to be a lifesaver – but I also learned some things. Not all hair dryers can be used for travel without an adapter. This adds cost and inconvenience, and normal hair dryers are bulky anyway. They also wont operate at maximum efficiency as the voltage converter results in much less power. The best dual voltage travel hair dryer can solve this. To help you to find a compact travel hair dryer, compare the options below and read the travel hair dryer reviews of the top rated travel hair dryers available. Attachments for hair dryers are difficult when traveling as they can take up more space. They also function less than might be expected as travel hair dryers can be so small that an attachment, such as a diffuser, will not work well. There certainly are travel hair dryers that can use diffusers – but they are rarely included as standard and often you will need to purchase these separately. Even the best hair dryer for travel will lack from features and this is the same with attachments. However, unlike hotel hair dryers, travel hair dryers will usually include an attachment to concentrate airflow making styling hair easier. Along with their smaller size, travel hair dryers can be limited by their settings. They are usually restricted to a couple of heat settings. A cheap travel hair dryer usually includes two speed settings, and rarely includes a separate option for heat. You can easily find a small hair dryer for travel with a cool shot feature where cold air is used to dry your hair. This can help save your hair from damage. In the same way, by adding heat to your drying routine you can create the style you want. This is why some settings are necessary. Also look for ionic hair dryer – these hair dryers create smoother hair as they dry with moisture from the air and are a popular option for travel. Limited luggage space means that we are all restricted by the size of hair dryer we can pack. There are a few people that simply resort to using their regular hair dryer – this can work if you are only on the road but it is more difficult when flying. You can find a good quality travel hair dryer that operates in the same way as a full sized hair dryer. The size of the hair dryer is usually a good indication of the power, but this is certainly not always the case as you will see below and even the lightest travel hair dryer may still be large. It can actually take you by surprise when you realize just how powerful a tiny travel hair dryer can actually be. In addition to the features of a travel hair dryer, safety is another factor that should play a role. Hair dryers are not something to play around with as they use a lot of energy and heat in use. The most important aspect of all in regards to using the best travel hairdryer is voltage. The correct voltage is not only essential to the operation of the hair dryer but the safety of it. Different countries have both different voltage and wall attachments, and you will require the correct converter to use your hair dryer safely. A dual voltage travel hair dryer is the most popular type of travel hair dryer and will mean that a converter is not necessary. Therefore, in the best travel hair dryer dual voltage is essential. The BaBylissPRO travel hair dryer is one of the most popular hair dryers for travel. It may be tiny but it is very powerful. This small hair dryer packs a powerful 1000 watts. The hair dryer is marketed as using gemstones to emit ions to dry the hair. I can’t say how well it does this, but it is certainly effective! The hair dryer dries a lot faster than standard travel hair dryers and can save your hair from damage. The functions work exactly as they’re supposed to no matter where you use the hair dryer, which some travel hair dryers struggle with. There has been some confusion with the heat and speed settings. This hair dryer combines both heat and speed with two settings in total. Unfortunately this model does not include a cool shot feature. The hair dryer includes a switch allowing you to change the voltage from 125 to 220 watts which means you will not need a voltage connector when using it overseas. The hair dryer can also be used with the BaBylissPRO diffuser and includes a concentrator attachment. This is my personal favorite top hair dryer for travel. You can read more reviews and see the latest prices here. One of the most popular hair dryers for travel is the Conair 1875 Watt Compact Folding Handle, and it is easy to see why. 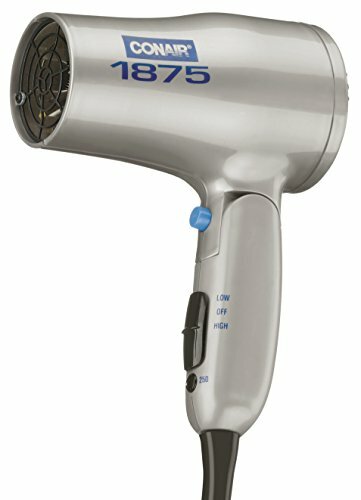 This hair dryer is small but powerful for a travel hair dryer and is a fantastic option for travel. I would also go as far as saying this would be suitable for daily use. The hair dryer does a great job at keeping hair looking smooth and you can feel the power of the higher wattage in use – it is the most powerful travel hair dryer on our list. However, the directions state to only use it on low setting when traveling international but it works well enough to keep to this. 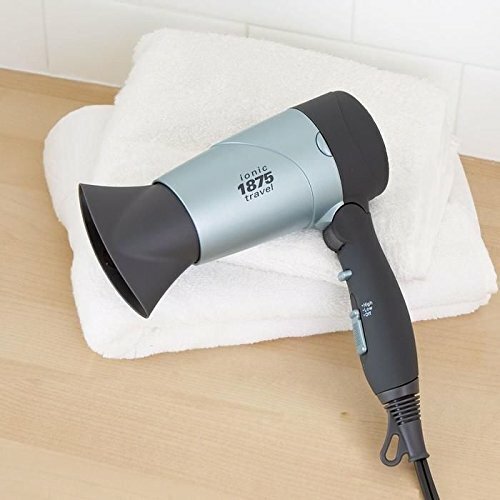 Lightweight and compact, the hair dryer has a foldable handle making it ultra portable and a dual voltage switch, meaning you will not require a voltage connector. The hair dryer can also be used for cold air to add additional style, but the button must be held down to be used which can be annoying. There are no attachments or extras on this model, but it is definitely affordable for what it offers and it is on par with the best hair dryer for international travel that you can find. 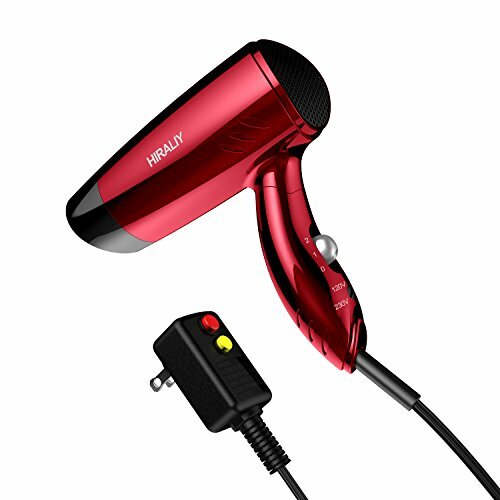 With the ability to be used in the range of 130 to 230 volts, the HIRALIY Travel hair dryer can be used in any country – but this is not important if the hair dryer does not work well. And it does. This hair dryer locks in moisture when drying hair to ensure healthy and smooth hair is a result of using it, although it does have less power than some of the other options on this list. Affordability is probably this hair dryer’s major feature. Travel hair dryers can be boring – but this one comes in both red and black making it a stylish option to travel with. Not to mention it is also one of the more affordable hair dryers to travel with. With a high wattage and the ability to switch between two different watt settings the Dual Voltage Folding Travel hair dryer is a fantastic and powerful hair dryer for travel. The hair dryer is pretty simple as most hair dryers for travel are. There are two speed settings with the option to switch between both high and low voltage for travel. The hair dryer does operate at lower power when switched to a lower voltage, but all settings are available at all voltages which is great for a travel hair dryer. There is no diffuser included, but the attachment to concentrate air is slightly wider than others which is a great feature on small hair dryers. The cord is 69 inches long which offers plenty of room on the best travel dual voltage hair dryer and overall it is a high-power option for travel. With a lower voltage than many of the other travel hair dryers on this list, the Ionic Dual-Voltage hair dryer can provide great control at a lower voltage while retaining around 1000 to 1200 watts, depending on the voltage it is set at. The hair dryer has several features which make it best for travel. 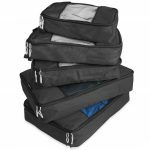 The folding handle is one of these and makes storage easy by reducing space. The hair dryer only has two speed settings but most reviews focus on how well it works for its compact size – and it does. This is a great travel size hair dryer and one that is very lightweight at that. Specifications wise, when folded it is about 6 inches across and 4 inches deep, and storing it in the included bag makes it nice and convenient for travel. The ionic feature makes this the best travel hair dryer for fine hair. 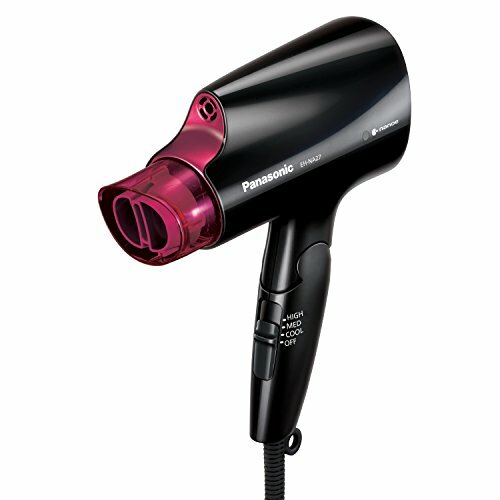 The Panasonic Compact Hair Dryer is one of the more unique hair dryers in our list. It behaves more as a full sized hair dryer than a travel one and therefore it is pretty much in a league of its own. The hair dryer uses the popular ionic technology where moisture is drawn from the air, creating sleek and smooth hair. The hair dryer does a great job at this and, in combination with a unique nozzle that directs the hair, it does not need a diffuser. The hair dryer drys fast and can be set to both a medium and high speed setting. 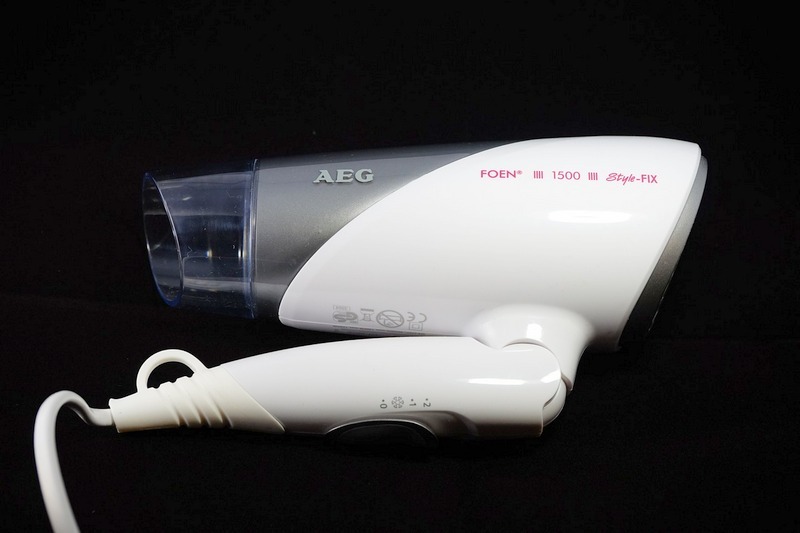 There is also a cold blow setting for additional styling and healthy hair is a result of using this hair dryer. 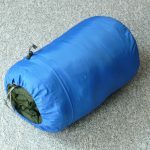 In addition to a lightweight design the handle folds making it pretty compact. However, it is still larger than other travel hair dryers but has the advantage of offering better control. You can read more reviews and see the latest prices. The Wazor Hair Dryer is a great choice for travel. Available in both purple and blue, this hair dryer features a small and compact design and includes a few features that make it great. One of these features is the cool shot button which delivers a burst of cool air. This makes it the best travel hair dryer with cool shot for styling hair. The hair dryer is about half the size of a normal hair dryer which makes it ultra compact and great for storing when traveling. It is also very lightweight making you forget it is even there – until you need it. Unfortunately the the hair dryer does not have dual voltage which is usually seen on travel hair dryers – but it makes a great option for those who travel domestically. However it is the best ionic travel hair dryer for its price. The lint tray can be removed which makes cleaning easy and prevents a build up of potentially damaging lint. It also improves the safety of the hair dryer. Overall it works well and the hair dryer operates both powerfully and hot for such a small design. Of course, it does lack some features – but it remains a good and affordable option for domestic travel and when you’re on the road. 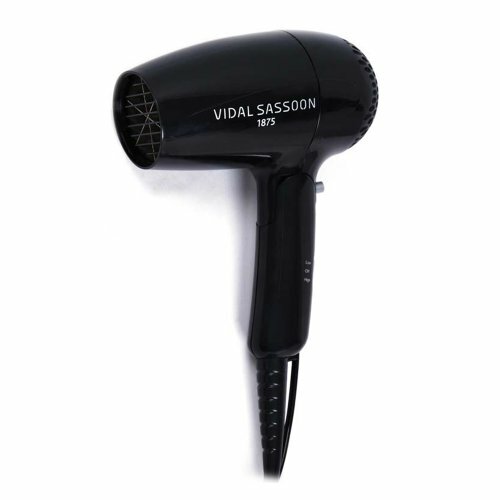 Another great hair dryer for travel is the Vidal Sassoon Vsdr5523. This is a popular hair dryer with a foldable handle making it compact and lightweight. 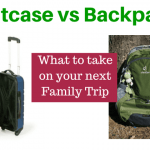 It is easy to throw into your backpack. The hair dryer does a good job at drying hair with such a high wattage and has two speed settings and an option to use cold air making it a great styling tool. The length of the hair dryer is about 6 inches from front to back. Safety is always a concern when using a hair dryer overseas and this hair dryer has dual voltage for worldwide use. The hair dryer also has both a reset and test button to ensure that it operates as it’s meant to in any scenario, making it one of the safer hair dryers for travel. 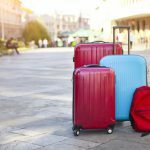 You can also read our guides to the best hair straightening brush, the best duffel bag and many other useful travel products here. Do you use a travel hair dryer? 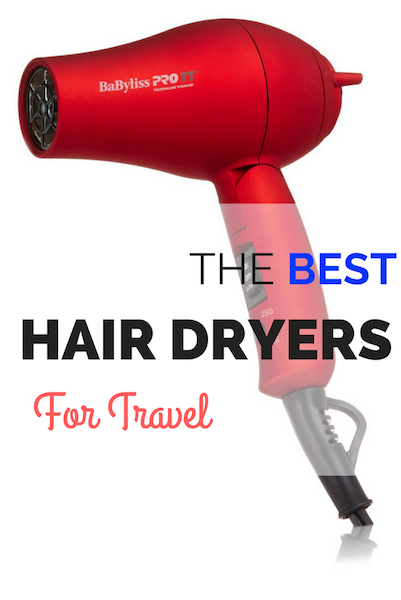 What is your pick for the best travel hair dryer? I was so excited when I saw this post. My 40-year-old travel hair dryer is held together with strapping tape. I’ve been needing a replacement for some time. I checked out several of the hair dryers listed in the post and was surprised to read bad reviews for all of them. Didn’t work. Too hot. Not hot enough. Couldn’t change wattage. Failed after one month. Makes it really hard to choose a new hairdryer. I still feel like I need help. Any further suggestions?